Africa as a whole was home to 17.5 million fixed broadband customers at end-2017, up from 15.2 million the year before and 12.7 million at the end of 2015. In many African countries broadband connectivity is priced well above the means of the average citizen, while a lack of network coverage also acts as a barrier to take-up. Meanwhile, 3G and 4G cellular services often provide a cheaper, more convenient and available alternative for internet access. This has resulted in per-capita penetration for cellular services climbing above 80 percent in Africa by end-2017. That being said, Africa is not a monolith; the region has a wide array of market types. Africa includes some of the least connected countries in the world side by side affluent nations where broadband usage is on a par with more developed markets. Countries where household penetration is well below 1 percent include South Sudan, Eritrea, Chad, the Republic of Congo, and Burundi. Indeed, South Sudan had just 234 fixed broadband subscribers at the end of March 2018. With much of its fixed infrastructure destroyed by war, local ISPs rely on satellite-based VSAT and wireless broadband technologies, such as WiMAX. But high prices mean connectivity is used largely by businesses and government offices. Eritrea and Chad also counted fewer than 1,000 active accounts at the same date. Eritrea’s development has been severely hampered by the poor state and limited availability of the PSTN. It also remains one of the last African countries without a connection to an undersea cable system and, as such, is forced to rely on slow and expensive satellite connections for its bandwidth. In Chad, development of the sector has been held back by numerous factors. Among them are the country’s geographical isolation, the challenges presented by its terrain, a lack of investment in critical infrastructure, mismanagement of government enterprises, and poor regulation. At the other end of the spectrum are prosperous Indian Ocean island nations such as the Seychelles, Reunion, and Mauritius, as well as North African markets like Libya and Algeria. These countries have all built up successful broadband markets where good international links and effective competition have helped to keep prices affordable. In Libya, state-owned Libya Telecom & Technology is the country’s dominant ISP and also acts as the de facto arbitrator for the country’s broadband sector. It launched in 1999 and now provides internet services across the country via dial-up, ADSL, VSAT, fiber-to-the-home (FTTH), and WiMAX technologies. In March 2018, it added LTE-based services to its fixed line portfolio, using the wireless technology to provide internet access for home users. 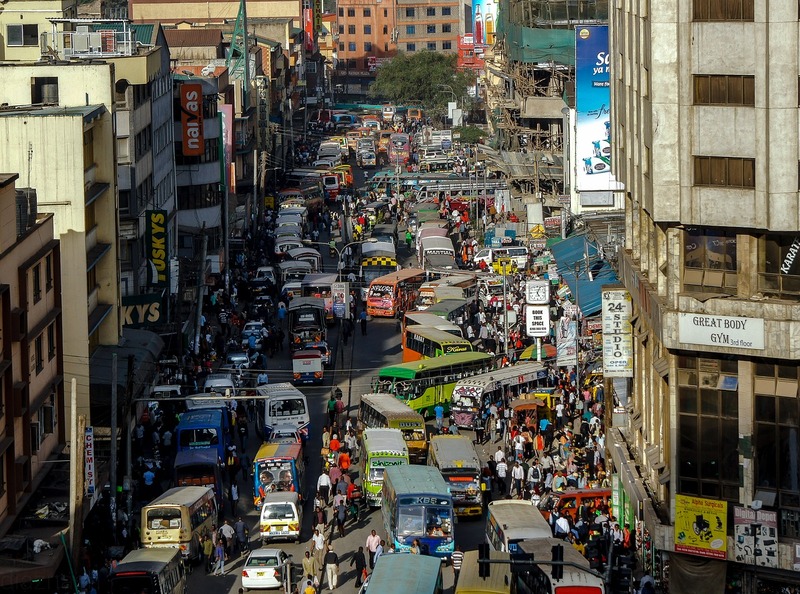 The Seychelles and Mauritius are other examples of African countries where incumbent operators have begun deploying FTTH networks to improve connection speeds for end users. In Mauritius, for example, FTTH lines now outnumber DSL connections by almost four to one. The country is also using Wi-Fi equipment to offer free internet access in urban areas. This is not the case in most markets, however. 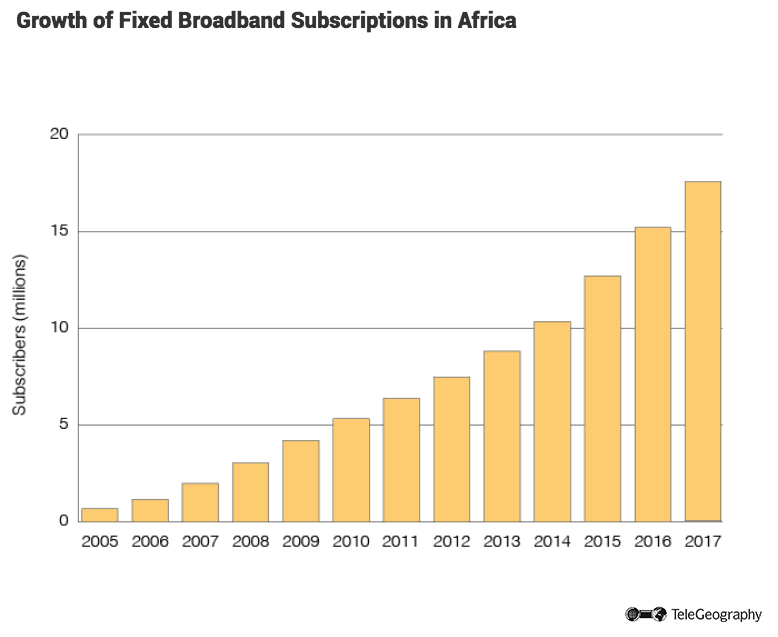 Fiber services accounted for just 3.6 percent of all fixed broadband connections across Africa at the end of March 2018. 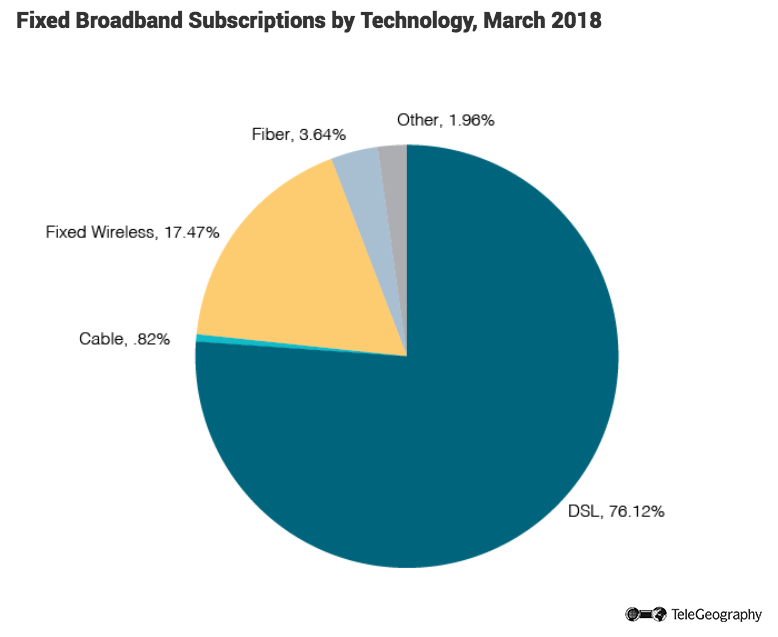 DSL makes up the lion’s share of the sector, with more than three-quarters of all lines in service, while fixed wireless networks served more than 17 percent of all users. According to TeleGeography’s GlobalComms Forecast Service, cellular services will remain the dominant method of internet access in Africa, with only limited growth in the fixed broadband sector. It’s predicted that the continent will be home to just 22 million fixed broadband users by end-2022, while 3G and 4G services will be being used by an estimated 870 million subscribers by the same date. The Story of the African Wireless Market: Africa’s wireless story is one of extremes, opportunity, and playing catch up with surrounding regions. Read more about it here. 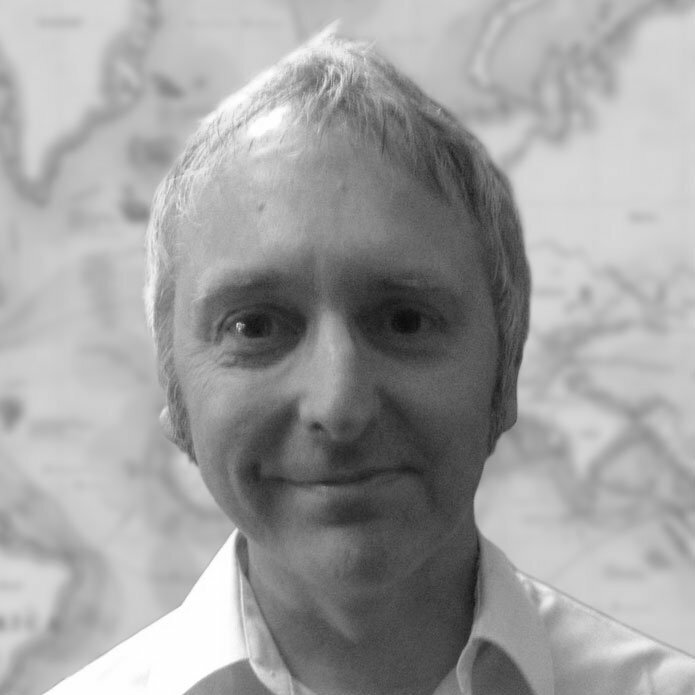 Data Centers are Coming to Africa: Senior Analyst Patrick Christian weighs in on the local exchange of content in Africa. Read the full interview.